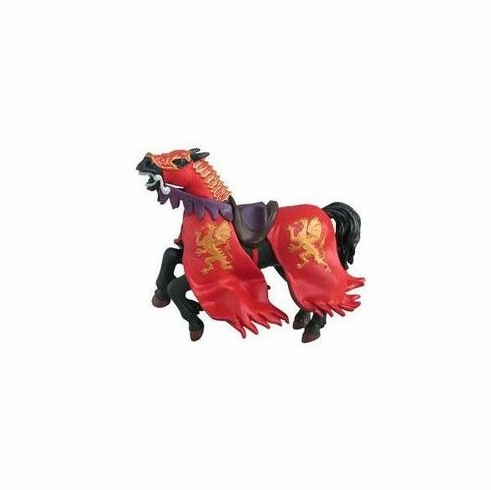 This is the Demon of Darkness Horse in its original colors - Mostly RED with GOLD dragons on the sides. Measures approximately 5 inches. Part of the Fantasy World Series by Papo. The art work and detail are beautiful on this hand painted figure.